Here I am again, with six months passing and no posts. Time goes by so fast and life just seems to get in the way of sitting down at the computer to keep our blog updated. It isn’t because nothing has gone on around here…our summer was just as busy as past ones. So, since the holiday chaos has passed and the cold temperatures have me trapped indoors, I am feeling inspired to finish some posts about some of our projects around the farm last summer. We are well into winter here in Minnesota. We have had several subzero days in the last week. 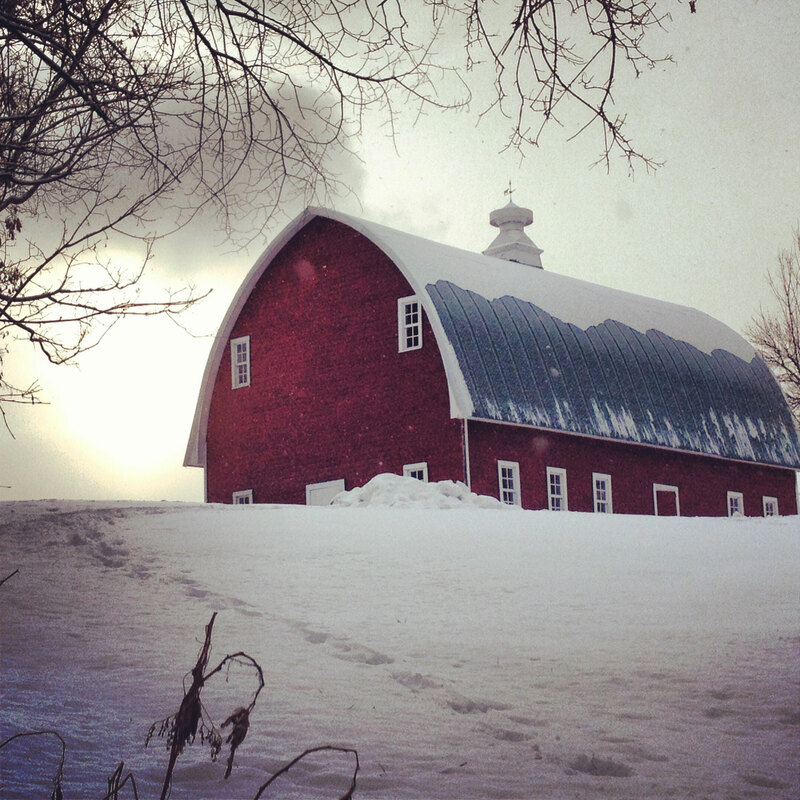 Even with the cold temperature and snow on the ground, there are some pretty sights to behold on the farm. Have I mentioned how much I love our barn??? No matter the time of year, it is one of the most charming parts of our landscape. But anyhow…back to last summer. We enjoyed three separate home visits by our oldest, the West Point cadet. He came home during his breaks from his summer military training and it was such a treat to have him around. As you will see in upcoming posts, we put him to work and he helped us complete some fun projects. We also had a roller-coaster of a summer with our bees. After being so thrilled that we had successfully wintered our bees for the first time since starting beekeeping, we were devastated to discover that they had swarmed in May because we waited too long to divide the hives and they became too crowded. The early spring and warm temperatures moved everything ahead and in our inexperience, we missed the signs that they were preparing to swarm. My perennial garden, particularly my Echinacea (coneflower) plants were hit with yellow asters and I decided to pull every one of them out in trying to rid my garden of the disease. I was a very sad gardener. Our vegetable garden was very productive and we enjoyed fresh veggies for months on end. We decided to forego any preserving this year and to just enjoy the bounty as it ripened. Now that we are in the depths of winter, I am questioning that decision. I think we will take the time to do at least a minimal amount this coming season. 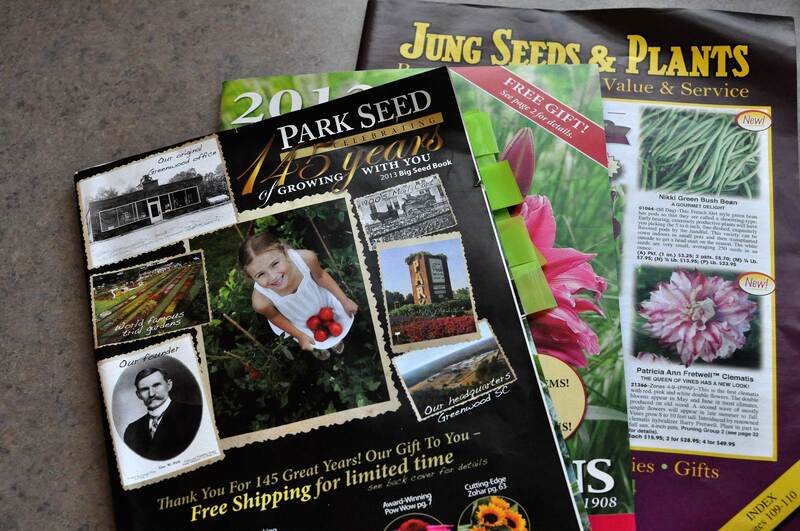 Around the first of the year, the seed catalogs started arriving. I have started pouring over them, marking pages, and making my wish list. I plan to expand my winter sowing into some annuals and vegetables this spring and am anxious to get started. Your experience sounds so charming I decided to take part and follow. I live in virginia and while I don’t really consider my plot a farm at 3.25 acres it does allow me some experimentation. Good luck as you prepare for another season. I also love your barn. Thanks for stopping by, Joe! I would imagine you have a lot more growing option in Virginia than we do up here in Minnesota. You can do a lot of gardening stuff on 3.25 acres. When does your growing season start? If you are around the twin cities anytime soon, you are welcome to take a bottle of the honey our bees made last year. Free… courtesy of my wife and I. One MN family to another. 🙂 Just email us if you ever make it out this way. Sorry to hear you had problems with your bees last year, as well. I really don’t know if we had mites affect our hives. With all the other issues going on, it may have been overlooked. And thank you for your kind offer of honey! We still had some leftover from the previous year, so we might make it through until fall. You mentioned living north of the metro. Do you have acreage for bees or are you an urban beekeeper?